We are excited to announce that we officially opened our doors for business on Monday, March 11! We want to say thank you in advance for your patronage and patience while we get up to speed. We understand that it may take a bit for everything to be running on all cylinders, however, we will do our very best to provide you with the food and service that Sammy's has been known to offer for more than 65 years. 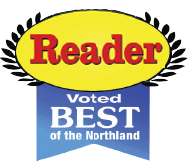 We're so excited to be back in the Hermantown community, and can't wait to serve you! Sunday - Thursday: 11 a.m. - 9 p.m.
Friday & Saturday: 11 a.m. - 10 p.m.
Homemade sauce with our secret mix of seasonings. Dough that’s made fresh every morning. Specialty meats and real mozzarella cheese. The sounds of crisp crust being cut into perfectly-sized squares. That’s what you’ll find in our kitchen at Sammy’s Pizza in Hermantown. 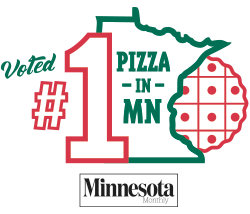 Opened in March 2019, Sammy's Pizza in Hermantown is locally-owned and operated by the Perrella family – who also own Sammy's locations in Downtown Duluth and Woodland (Duluth). Hours: Sunday - Thursday, 11 a.m. - 9 p.m.
Friday & Saturday, 11 a.m. - 10 p.m.